Banners for schools can be utilized for a variety of community-wide events whether it is a dance or town election. Made with durable vinyl, these banners can last indoors or outdoors. School districts in any community can increase attention to upcoming events or meetings through the use of custom made banners. 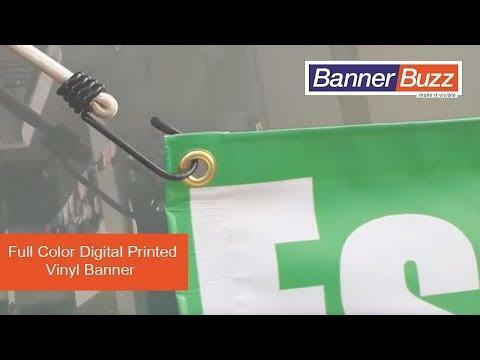 They are easy-to-read and vibrant through BannerBuzz's printing technologies. We would be proud to help your school to spread the word. Sometimes, such as when students may forget to tell their parents or guardians about school events, these banners are an easy way to promote them. One of the best times to use these vinyl banners is during town- or city-wide occasions like local elections and fundraisers. Let custom made banners help your school bring families together. 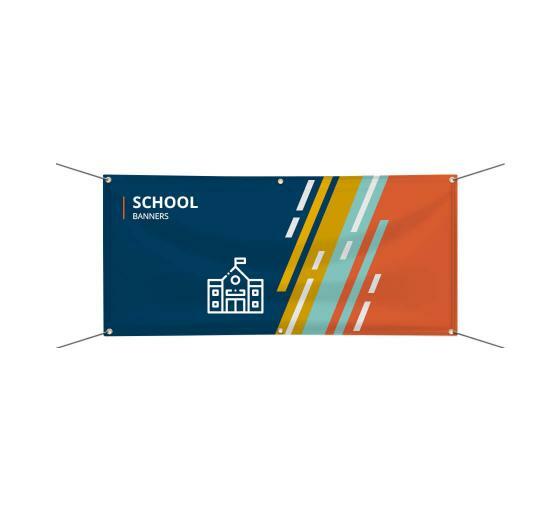 These banners for schools can be saved for annual events because they are made with 13 ounces of weather-resistant vinyl. It doesn't matter how young or old the students are, every school deserves professional, beautiful custom made banners! Vinyl banners for schools are very Versailles's they can be used indoors or outdoors. Whether they are in the classroom, school yard or front of the building, residents in the community will notice the advertisement for an upcoming dance, play, graduation or any scholastic event. Banners for schools can also be a great way to encourage school spirit within the community during Homecoming Weekend, rival soccer team games and pep rallies. Our gallery has a large selection of custom made banners, so find one that matches your school's colors or make your own through our web application. BannerBuzz's design team is always available to help customers understand how to navigate our program. Every order comes with a complimentary proof we are a hassle-free business here to your school.